Stitch Story: How to Use a Novelty Ladder Yarn! 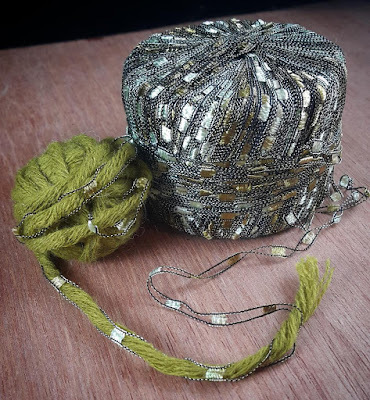 Many of us have purchased these beautiful ladder yarns, not knowing how we would use them. I tried crocheting and knitting with them, and felt that the yarn lost its beauty in the process. The ladder yarn just sat in my stash for a few years... until recently when I was searching for yarns for a new weaving. This ladder yarn went so beautifully with the other yarns that I wanted to include. 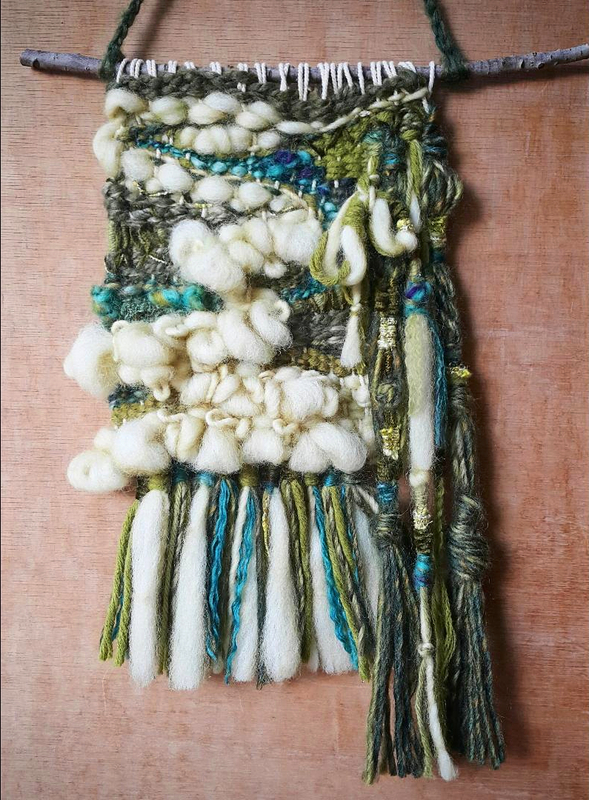 I wanted something thicker though, so I decided to take one of my bulky yarns and weave it through the ladder. This technique keeps the beauty and integrity of the yarn, so I was very pleased with the result! 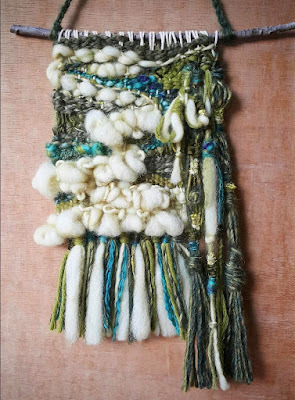 I ended up using it to make a long tassel for the weaving pictured below. I also plan to try weaving it in a future piece! How do you use ladder yarns, I would love to hear your ideas!